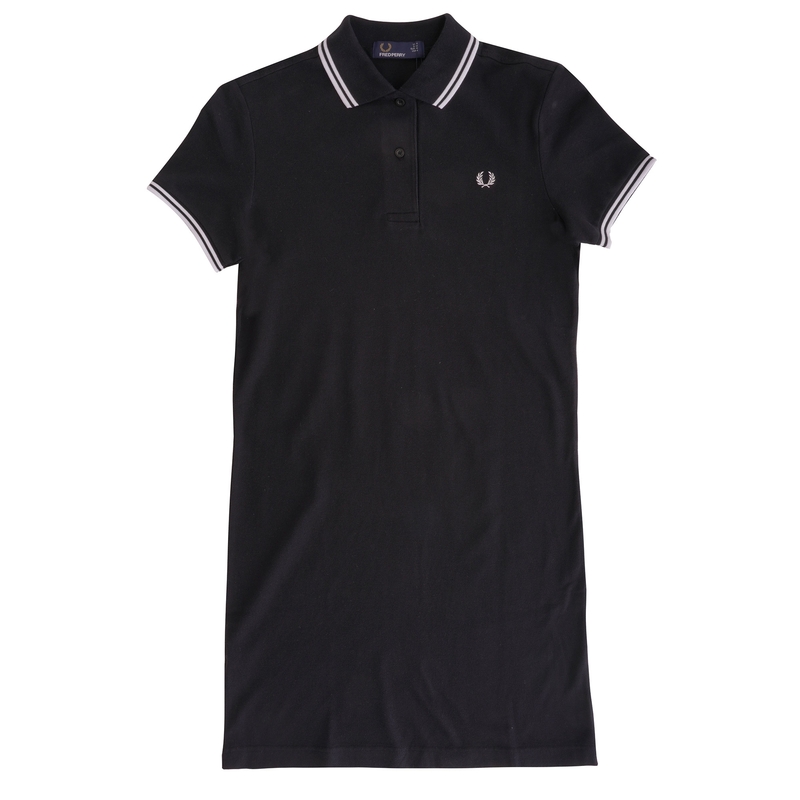 Part of this season's Fred Perry Womenswear collection this D3600 Twin Tipped Dress in Black with White detailing pulls out all of the stops for those on the look out for a casual piece that makes a statement. Made from cotton pique with a relaxed contemporary fit the D3600 boasts Fred Perry's famous twin tipped detailing to the collar and sleeves and consisting of a two button placket. Finished with the signature Fred Perry Laurelwreath logo to the chest combine with a Harrington jacket from Baracuta to complete the look.